A mathematical representation (traffic flow model) for driver longitudinal motion behavior. Traffic assignment considering the temporal dimension of the problem. A roadway segment with homogeneous traffic and roadway characteristics (e.g. same number of lanes, base lane capacity, free-flow speed, speed-at-capacity, and jam density). 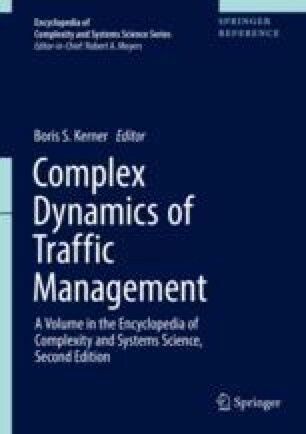 Typically networks are divided into links for traffic modeling purposes. The increase in a link’s travel time resulting from an assignment of an additional vehicle to this link. Road pricing is an economic concept in which drivers are charged for the use of the road facility. A sequence of roadway segments (links or arcs) used by a driver to travel from his/her point of origin to his/her destination. Traffic assignment ignoring the temporal dimension of the problem.